It’s been 22 months since former FBI Director Robert Mueller was appointed to head a special investigation into Russian interference in the 2016 presidential election and whether the Trump campaign was involved. Now, at last, perhaps we will see the full manuscript. Or at least the CliffsNotes (that’s York Notes to you Brits). If it all seems confusing, that’s because no-one knows exactly what happens next. It doesn’t mean we’ll know all the details immediately – or ever. Wait, won’t there be a final ‘Mueller Report’ with all the juicy details? It doesn’t seem likely there will be a detailed investigative narrative presented to the public similar to the multi-tome report produced by Independent Counsel Kenneth Starr back in 1998. Mr Starr’s wide-ranging investigation that started with a real-estate inquiry and ended up scouring Bill Clinton’s affair with Monica Lewinsky was governed by a federal statute with different rules. And Mr Starr himself – a former judge and Republican administration lawyer – was a different kind of man to the by-the-books ex-Marine Mueller. Mr Mueller’s probe is conducted under the auspices of the Justice Department and is governed by its regulations. The special counsel’s obligations at the conclusion of his work are to provide a “confidential report” to Attorney General Bill Barr explaining his prosecutorial decisions. Mr Barr must then provide the top members of the Senate and House Judiciary committees with a brief explanation of any actions taken – or instances where he overruled the special counsel’s proposed action. It is up to the attorney general to decide whether it would be in the “public interest” to make any of these reports or communications accessible to the rest of us. “I am reviewing the report and anticipate that I may be in a position to advise you of the Special Counsel’s principal conclusions as soon as this weekend,” he writes. Traditionally the Justice Department has been reluctant to provide information about investigations that do not lead to criminal prosecution. That was a guideline notably violated by former FBI Director James Comey during his July 2016 press statement outlining the results of a federal investigation into Hillary Clinton’s use of a private email server while she was Barack Obama’s secretary of state. It would be ironic, to say the least, if the resulting political fallout from Mr Comey’s decision – which Ms Clinton’s campaign believes dealt a mortal wound – is used by Mr Barr to defend a decision to keep confidential damaging details of the Mueller investigation involving Donald Trump. It’s certainly a possibility. Or if we do learn something, it could take a while to render it into a form for public consumption (or, given the way things work in Washington, to leak). 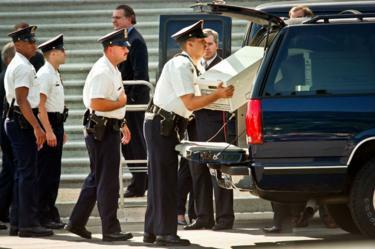 Imagine the scene in Washington, as the political world learns Mr Mueller has provided his findings to Mr Barr and then waits – for hours, days – to learn what, if anything, will come of it. Up until now, Mr Mueller has spoken through his court filings, which are rich in detail and new revelations. 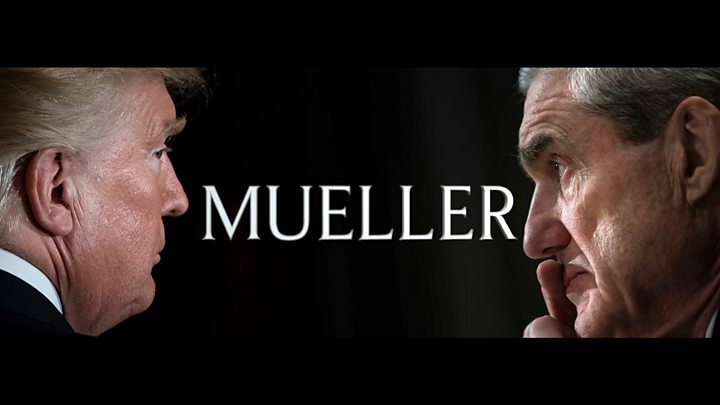 While Mr Mueller’s report to the attorney general will be confidential, it may not be his final word at the conclusion of his investigations. Over the course of the last 21 months, Mr Mueller – in his prosecutorial documents – has explained how Russian agents and operatives allegedly gathered information about the US political process, initiated a social media campaign to influence and enflame American political views, funded on-the-ground political activities, and hacked the emails and files of top Democratic operatives in an effort to damage Mrs Clinton’s presidential campaign. He has prosecuted multiple members of the president’s inner campaign circle for a variety of misdeeds, including obstruction of justice and lying about Russian contacts. He helped strike a deal with Mr Trump’s personal lawyer, Michael Cohen, which unearthed evidence of Trump business negotiations with Russian officials conducted in the heat of the 2016 presidential campaign. The special counsel could be building a prosecutorial path that leads to the White House, with the final stones about to be set. Court-watchers note multiple sealed indictments have been filed in the federal courts used by Mr Mueller’s team over the past few months. Those could be political and legal bombs, with their fuses lit. There are a number of cases initiated by the special counsel – involving Former National Security Advisor Michael Flynn and deputy campaign aide Rick Gates – that still await final sentencing. 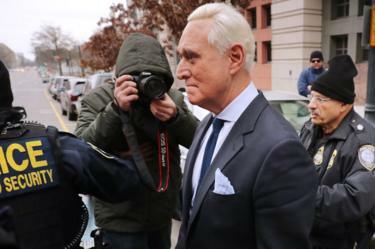 Long-time Trump adviser Mr Stone has yet to go to trial on his charges of lying to Congress, witness tampering and obstruction of justice. Mr Mueller has handed this prosecution over to government lawyers. There’s also a special counsel case against Concord Management and Consulting, which Mr Mueller has charged with assisting Russia’s 2016 social media election-meddling campaign. Meanwhile there’s a plethora of other ongoing investigations that are being run independently of the special counsel’s office. Federal investigators in New York are looking into possible election-law violations by the Trump campaign and his businesses and misconduct by the Trump inaugural committee. The US attorneys in Washington and Virginia also have their hands full, with the espionage case involving Russian Maria Butina and an unregistered foreign lobbying prosecution of Mr Flynn’s business associates. There are also state-level investigations of Mr Trump’s charitable foundation and Trump Organization tax filings, as well as an ongoing lawsuit by Maryland and the District of Columbia alleging that the president, through his business dealings, is violating a constitutional rule prohibiting the acceptance of money from foreign governments while in office.